The product has passed the CE certification. It is of one mast structure. 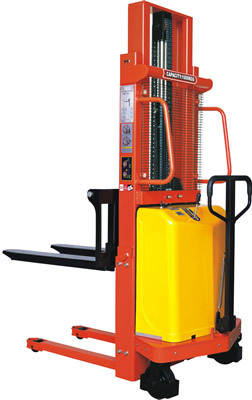 It is a half electric forklift for load and unload and short-distance transportation. The operation is very easy. It is reliable. There is no noise and pollution. The malfunction rate is low. It is applicable for the working place with high requirement on load. The product has passed the CE certification. It is of double mast structure. 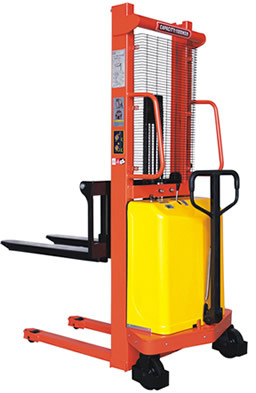 It is a half electric forklift for load and unload and short-distance transportation. The operation is very easy. It is reliable. There is no noise and pollution. The malfunction rate is low. There are complete specifications for forks to meet the different demands of the customers.